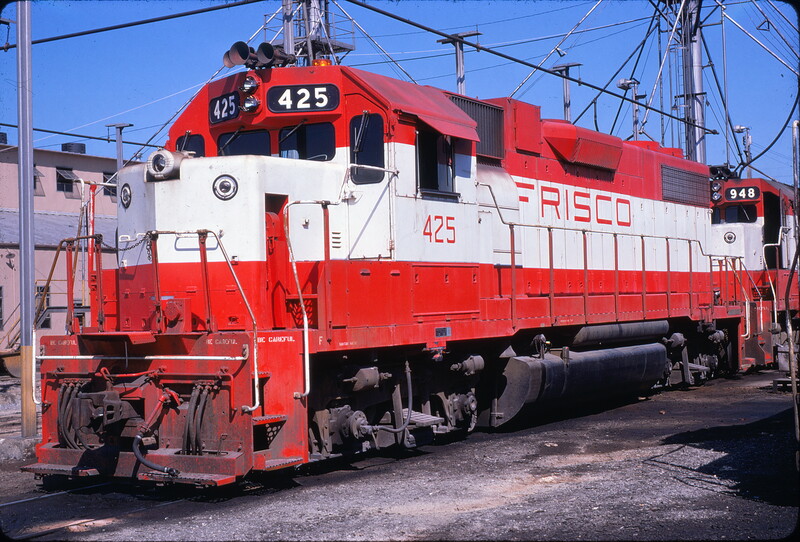 4-8-2 1511 at St. Louis, Missouri (date unknown) (Louis A. Marre). 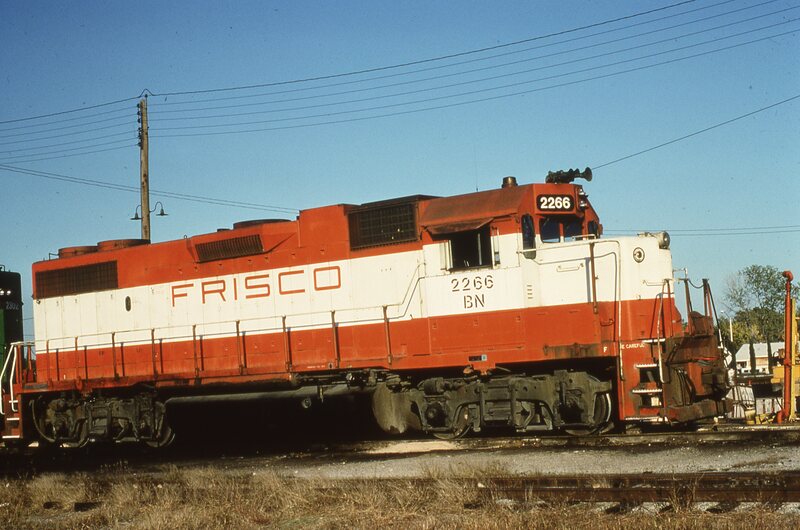 GP38-2 2266 (Frisco 411) at Fort Worth, Texas (date unknown). This photograph was taken in the mechanical department’s locomotive service tracks area at West Yard. 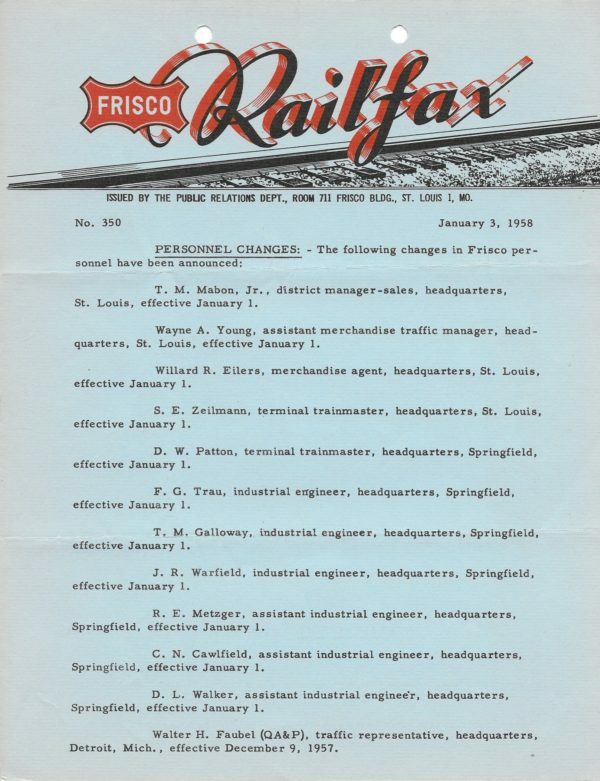 Railfax 350 – January 3, 1958 (PDF). GP38-2 425 at Memphis, Tennessee in July 1975 (Steve Forrest).